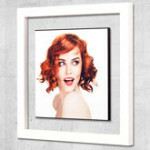 With its highly contemporary and dynamic look, the Illusion Wall Display takes your image and suspends it within a crystal clear acrylic, leaving the area between the frame and inner block transparent to the wall behind and your image with the appearance of being suspended. 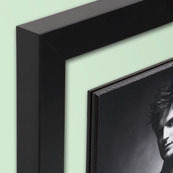 The satin coated contemporary frame finishes off this stunning product to perfection. 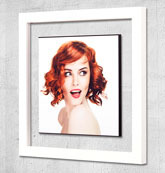 Your true photographic print has an anti scratch seal applied to its surface before being flush mounted to the 6 mm thick coloured (available for all frame colours in a choice of either black or white) and bevelled edged inner block. The inner block is then centralised and adhered to the acrylic. 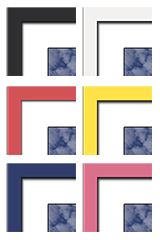 A matching back board is also mounted to the rear to give the appearance of the block going through the acrylic, then framed with one of six available colours. 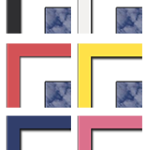 You will need to supply one (1) image with each Illusion Wall Display. To purchase your frame through my website, contact me to organise a download account or email me your images (please include your contact details, any clarification notes, Paypal order numbers or other instructions as necessary with your payment/ email). You can also upload your image directly through this page (see the single image download field above). 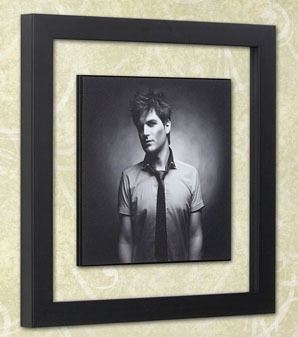 Be the first to review “Illusion Wall Display” Click here to cancel reply.